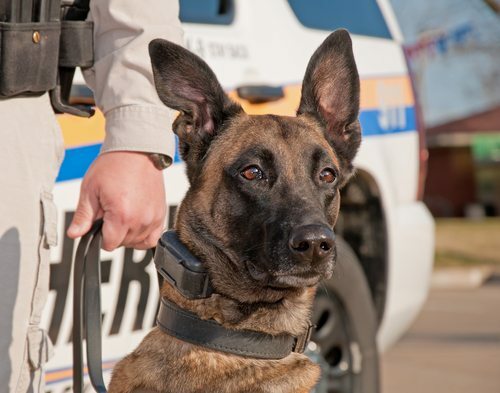 A July 2016 dog bite incident involving a retired police K-9 in Riverside, California provides another example illustrating the potentially dangerous and unpredictable nature of canines trained for suspect apprehension by the police. Elsewhere on this website, I provide other examples about the inherently dangerous nature of police canines trained in suspect apprehension. However, the example discussed in this story is different in that the victim was not an innocent bystander. Nor was the victim a suspect the dog was pursuing. Rather, the victim was a good Samaritan attacked by a male, German Shepherd, retired from active duty from the Long Beach, California Police Department several months beforehand. The incident unfolded as follows: the 20-year-old victim noticed the subject dog, apparently a stray, wandering alone. The victim stated that he felt sorry for the dog, approached the dog, and gave it a bowl of water. The dog drank from the bowl, but then stood up and placed his paws on the victim’s chest. The dog then viciously attacked the man. He was bitten on his bicep, leg and ankle. The dog then dragged the victim into the street. The victim’s screaming alerted friends and relatives. They attempted to stop the attack by punching and kicking the dog. These actions were ineffective, however. This dog finally released his grip on the victim only after being repeatedly stabbed with a steak knives. The victim was hospitalized as a result of severe dog bite injuries. The dog was taken to a veterinary hospital and euthanize because of the severity of his injuries. What are the noteworthy aspects about this dog bite attack by this police K-9? First, this dog’s the attack on the victim exemplifies an dog bite attack that was “vicious” in nature. I mention this because occasionally in dog bite lawsuits the question arises if the victim was “viciously” attacked. From my perspective in animal behavior, vicious means an attack which is sustained in nature whether it be through repeated biting or through a single bite with hold. The term “vicious” is a descriptor referring to the nature of the attack behavior and not whether the attacked was provoked, as some other dog bite experts wrongly assume. Moreover, in this particular instance, after dog latched on to the victim, he did not quickly release, another criteria supporting the beliefe that the attack was vicious in nature..
Second, the persistent hold the dog had on the victim was probably consistent with his past training – that is, the technique of “bite and hold”. And the injuries resulting from a bite-and-hold attack are usually quite severe – much more so than the typical bite injuries inflicted by a companion dog. For example, in an interesting study Meede, et. al. (Police and domestic dog bite injuries: What are the differences? Injury, 2006, 37, 395-401) reported the injuries inflicted to victims of police dog bite attacks were more severe in nature and required more intensive medical intervention greater when compared to dog bites inflicted by companion dogs. Third, with regard to potential civil litigation, a defense argument of assumption of risk by the plaintiff may come into play if the victim files a lawsuit against the dog owner. This might not be a strong defense because appellate law in California on assumption of risk favors the plaintiff, however. For example, in Burden v. Globerson, (1967, 252 Cal.App.2d 468) was bitten when he was feeding the dog, but the court ruled the plaintiff did not assume the risk of being bitten due to his lack of knowledge or awareness that this could happen. In another appellate decision with the fact pattern similar to the incident under review in this article, the plaintiff was bitten when he rendered assistance to an injured dog. However, the court ruled that the doctrine of assumption of risk did not apply because the plaintiff could not have reasonably foreseen the danger he had put himself into (Davis v. Gaschler, 1992 11 Cal.App.4th 1392). In general, these rulings are consistent with California dog bite law which regards domestic dogs as friendly and docile as opposed to being inherently dangerous. Fourth, it is significant to note that the aggressive behavioral tendencies in this retired police dog were still present. These tendencies did not dissipate despite the fact that he had been retired and was no longer in active service. From an animal behaviors perspective, this indicates hat the experiences and training this German Shepherd had been previously been subjected to were still very much part of his nature. Police departments need to act prudently when placing these dogs into “retirement homes” (usually about 7-8 years of age). Specifically, given the nature of these dogs, owners need to be carefully selected (even if adopted into the home of a police officer) and police departments need to enact ways, through behavioral modification, to diffuse the dog’s aggressive tendencies prior to placement. Without remedial training, allowing these dogs to live in a community as “pets” invites mishap and it endangers public safety. ** A news story about this incident along with photographs can be found online on the Daily Mail website, an English tabloid.